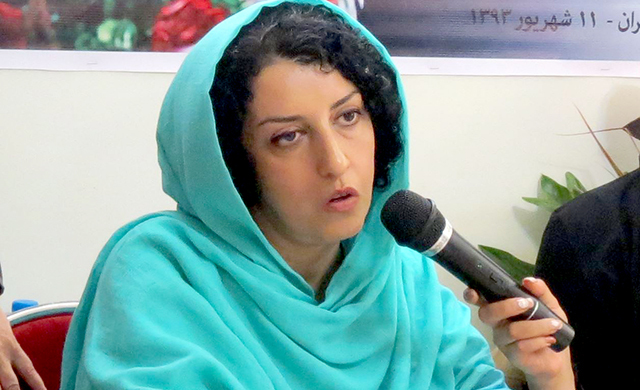 Reporters Without Borders (RSF), Amnesty International, OMCT and FIDH and many others condemned a decision by an Iranian appeals court to uphold a 16-year jail sentence against journalist and human rights activist Narges Mohammadi. Under a law passed last year, she will ‘only’ serve the sentence linked to the most important charge – in this case 10 years for “forming and managing an illegal group” which pressed for an end to capital punishment. Mohammadi, 44, was the spokesperson of the Centre for Human Rights Defenders and campaigned for an end to the death penalty in Iran. 2003 Nobel peace laureate Shirin Ebadi who founded the Centre for Human Rights Defenders, said: “I condemn this sentence imposed by the Iranian judicial system as Narges’s only crime is to be a human rights defender in a country that flouts these rights“.